Cinti/I74W to Sunman Ext,LT-SR101,RT-SR46,5.8mi LT-SR129,1.25mi RT-E Bischoff Rd,1/4mi LT-Coonhuters,prop-LT.Sign on. Bring your fishing pole! Fantastic get-away or perfect place to build your new home on this 8.26+acres featuring 6acre+/-lake. 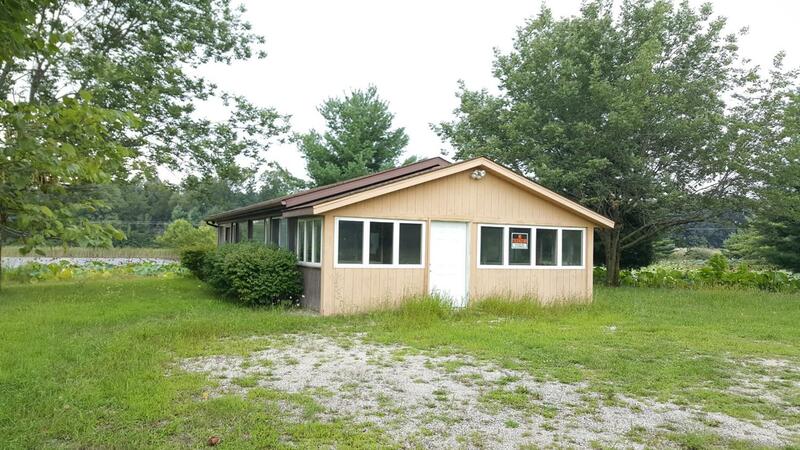 40x24 cabin w/gas FP, refrigerator, electric, & views of the lake from all the windows. Small storage shed too. Super location, around 3 miles to I-74 but located out in the country.......convenient country living!